Through the power of clean water, the P&G Children’s Safe Drinking Water Program is helping to keep children healthy, enabling them to get an education and offering a more promising future for communities all over the world. 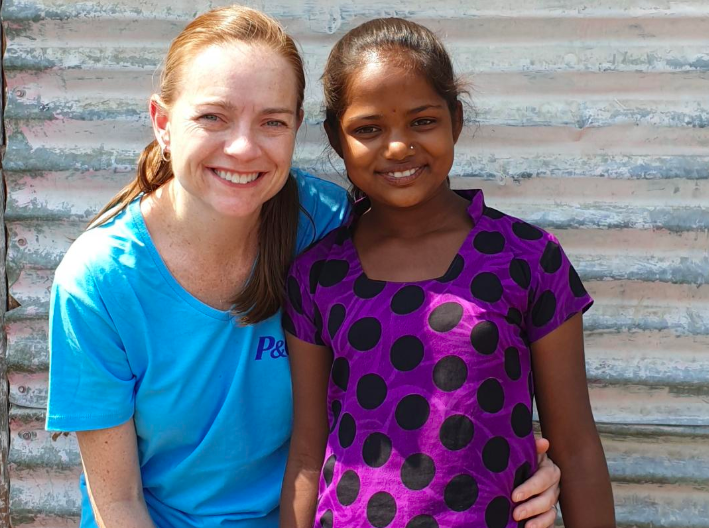 Allison Tummon Kamphuis, Children’s Safe Drinking Water Program Leader, visits with children and families in India to hear how clean water is transforming lives in their communities. While it’s something many people in the developed world take for granted, clean drinking water is one of the world’s greatest needs. According to the World Health Organization, access to potable water is a serious challenge for 844 million people worldwide. Without this most basic ingredient to sustaining life and preventing disease, thousands of children die every day. But thanks to the transformative power of a tiny packet of powder, millions of children are now drinking clear, clean water; they are growing, going to school, and becoming leaders in thriving communities. It all began in the labs of P&G’s laundry scientists working on an initiative to recycle dirty laundry water in water-stressed regions.